As always in this series, the opening is brilliant, followed by a colorful and intriguingly circuitous journey. If you’ve not yet discovered the pot thief books, think of them as off-beat cozies with an intellectual bent: nonviolent, humorous, character-centered, with a lot of cooking (some of it very funny—yes, recipes can be funny), and a romantic subplot. Unusual in the cozy mystery genre are the male protagonist and the illegal nature of some of his activities. In this book, for once Hubie is not stealing ancient pots (rescuing them, in his opinion) but teaching students how to make copies of them, and he’s doing it at the college that kicked him out of graduate school for digging up pots where he wasn’t supposed to be digging. The portrayal of students, faculty, and administrators is satirical but rings true. Hubie, long out of touch with academic life, has a lot to learn to get back into it. He’s kind, but he’s also a tad opinionated and not a stickler for rules, so he gets off on the wrong foot with a few people—something Edward Abbey would understand. The department meeting is hilarious (and made me glad I no longer have to attend them), but the best comic scene is the culmination of one of the romance subplots. A few of the discussions over drinks ramble on a bit, but they’re still entertaining. 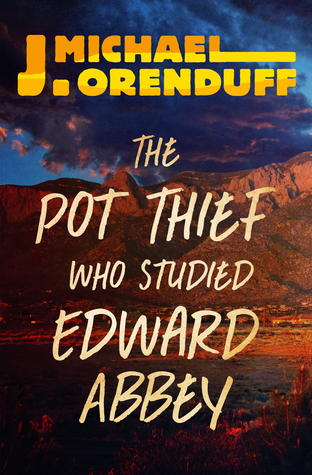 Hubie’s reading of Edward Abbey assists his thinking, as the pot thief’s topic of study in each book does. I especially liked how his friend Susannah’s background in art history plays a key role in solving the murder. The mystery plot keeps turning. Each time I thought it had wrapped up, another twist came around. Although this is basically a humorous book, it has some serious moments, and they’re handled with grace, in both the subplots and the mystery plot. The victim of the crime is given a place of honor in the story. A new reader of the series could start here and not feel lost, but I recommend beginning with The Pot Thief Who Studied Pythagoras and getting to know Hubie and his friends from the beginning. Click here for my 2016 interview with the author. My inner voice told me to drop in on a friend who’d been sick recently. Her shop being open was a good sign, so I went in. While we were chatting at her desk near the front door, a man walked in, making a beeline across the store. “That’s a man on a mission,” I said. “He knows what he wants.” My friend agreed. A minute or so later, he brought my nonfiction book, Small Awakenings, to the desk, and asked my friend, “Do you know when she’s bringing out the seventh book in the series?” He’d probably come in for another Mae Martin mystery and settled for essays on mindfulness instead. I was in my running gear, including purple five-finger shoes that clashed with my red pants and my Mescalero T-shirt featuring the Ga’an dancers in bright yellow. I don’t dress to impress the lizards. I’d rather look better for a reader, but he met the real me. I explained that the first draft of book eight was written. It was supposed to be book seven, but my critique partner had so many questions about what happened in between its events and the end of Death Omen, I needed to write the story that covered everything I’d planned to skip. If you’re asking the same question he was: Sorry it took so long. Yes, it’s been a year since Death Omen came out, but that’s why the delay. He shared his relationship with the series and the characters. Like a lot of my male readers, he’s attached to Mae and has doubts about Jamie, and hopes she may move on in a new direction. Many female readers, on the other hand, love Jamie. They like him better than Mae, in fact. He’s sincere and caring, but troubled. Kind of annoying. A mess with a good heart. The gentleman in the shop acknowledged that Jamie had made progress, but he relapses. I told him Mae has to decide about her love life, not me. I’m working on the next-to-last chapter of book seven, and she doesn’t know her choice yet, so neither do I. Though I wrap up the mystery plot in each book, the protagonist’s personal life is an ongoing arc. The friend I based her on is a strong woman, both athletically and emotionally, and yet she makes unwise romantic decisions. It’s her blind spot, her weakness. On my way to Elephant Butte to run in the state park, I was stopped by road work and had to wait for the pilot car. As I finally drove up the hill behind it, gazing at its sign, I sensed it was a sign. 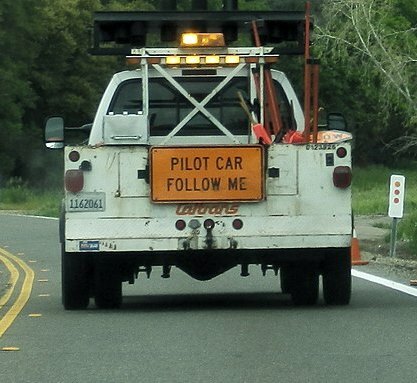 Pilot Car Follow Me. My inner pilot car drove to the shop and put me where I’d meet the next guidance. Talking with my reader made me see how the final chapter will work out in a way that’s true to the characters and their development over time. It will flow perfectly into book eight. And it just might satisfy readers on both sides of the Jamie divide. I’m honored that they care so much about my characters. I mean this as praise when I say this book reads more like a slice of life than a standard mystery novel. 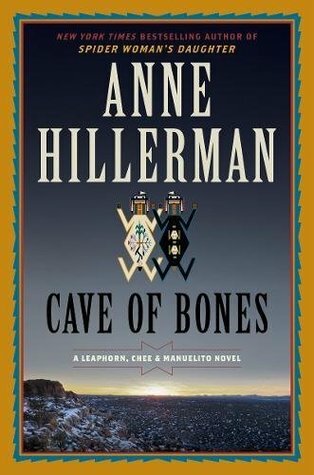 Anne Hillerman sustains suspense while avoiding the familiar ruts of the genre. I liked the fact that there was no “dead body by chapter three,” one of the conventions of mysteries. And since the book doesn’t start with a murder or the discovery of a dead body, the mystery gets its impetus from figuring out what happened and why. Not from figuring out who killed someone. Navajo police offer Bernie Manuelito shows courage and persistence as she becomes involved in several related problems: the puzzling disappearance of a man who worked for a program helping youth through wilderness experiences, a tribal council member’s demands that the program’s accounts be investigated, and the possible looting of ancient grave sites. Bernie’s husband, Jim Chee, is also looking into the fate of a missing man. I was every bit as compelled to keep turning the pages as I would have been in a more conventional mystery, maybe more so, because I couldn’t guess where the story was going. I was curious about many people’s motives and deeply concerned about whether or not the missing men would be found. I wanted to know why they vanished and what might have become of them. Both of them became real and likeable while entirely offstage, as shown through the eyes of those who knew them—including one’s cranky mother-in-law and another’s disgruntled, critical coworker as well as those who loved them. As always, I enjoyed the fullness of the story, the family life, and the friendships that make Bernie a whole person. 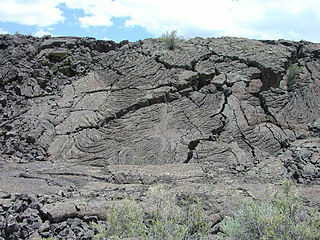 The settings, from the Malpais lava lands to the Institute of American Indian Art in Santa Fe, are vivid. The land itself is a powerful part of the story. There’s no closing cliché, for which I am grateful. I hope it isn’t a spoiler to congratulate Hillerman on not having her protagonist held at gunpoint by a killer as a way of wrapping up the final questions. Instead, she provides a more original drama that triggers the key revelations, and also more a realistic conclusion. I thought I caught a timeline glitch relating to some seeds in a drawer, but I might have been reading too fast and missed something. Otherwise, polished and intriguing. A missing father. A mother with a secret. A professor who might be a shaman—or a fraud. As Mae discovers her gift of “the sight,” she overturns her own life and the lives of those around her. A gifted musician disappears. 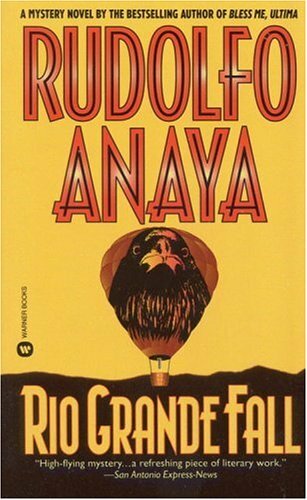 A questionable seer vanishes, to Santa Fe or another dimension. 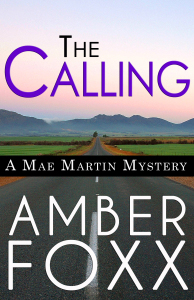 Finding two missing people proves easier for Mae than learning the truth about either—or getting one of them, once found, to go away again. Musician Jamie Ellerbee needs Mae’s psychic aid. His tour is being trailed by bad luck, an anonymous fan, and a strange new friend—who may not be a friend after all. No murder, just mystery. Every life hides a secret, and love is the deepest mystery of all. Three full-length e-books for $5.99. First, happy birthday. I’m honored that you wanted to treat yourself to my books to celebrate. Second. I want to thank you for telling me why. You said reading The Calling had a positive impact on your life. Writing it had a positive impact on my life, too, as I explored healing and loss, friendship and enmity, and the lessons learned from all of them. When you said the book had an effect as you were making changes in your place, working with its energy, I understood. I’m part-way through book seven in the series, which introduces a character who is a house healer, so this was an intriguing coincidence. Your call to Black Cat Books to order the rest of the series was another synchronicity. My neighbor and I had gone there for tea and book shopping before the store takes its summer vacation. (The off-season in T or C starts after Memorial Day. It’s already in the upper nineties.) Your birthday happens to fall right before the store closes up for three months. I was just about to head out the door when I heard Rhonda, the store owner, mention my name. So I stayed and had the opportunity to talk with you and then signed the books dedicated to you. Authors don’t often get to talk with readers. I hugely appreciate those who review or get in touch, but I don’t expect it of the majority. All I want is for them to read, enjoy, and repeat. Hearing how you connected with The Calling at a psychological and spiritual/energetic level meant a lot to me. 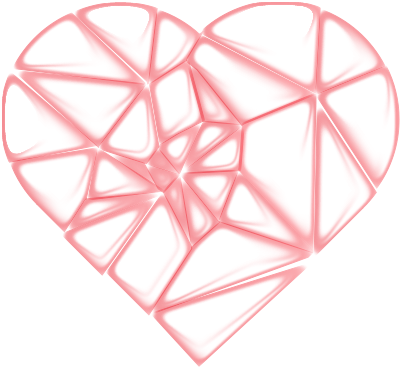 Your input reminds to keep taking my protagonist on her healing journey, through mysteries that challenge her emotionally and ethically and require her to learn (often the hard way). Thank you for supporting a small, independent bookstore and for making an author’s day—not only by buying my books, but re-grounding me in the reasons why I write them. Next time you visit T or C, perhaps the book with the house healer will be in Black Cat for you. At first, she didn’t show them to anyone. But she admitted to fellow artists and creative people who would understand, “I’ve been making devils.” An art therapist, she trusted her muse and followed it. The devils finally came out on gallery walls months later, small blue or red ceramic masks with a wild variety of expressions. I especially like a red one with curved horns and a crooked grin full of sharp teeth that remind me of red chiles. It’s so gleefully wicked. The little devils sell, and I can see why. We all have our shadow side, our mischievous side, our tired-of-being-perfect side. Even the weather gets devilish. I’m not talking about the New Mexico’s summer heat and monsoons—we love the storms. I’m talking about the wind. It’s already started, a couple of weeks too early, and it’s going to be blowing for months. To live with it, you learn to wear goggle-type sunglasses, even on a cloudy day, to keep the grit out of your eyes, and the constant blowing sound either gets as normal as an air conditioner in the summer—or drives you crazy. E. Christina Herr, a gifted New Mexico songwriter, sums it up in her song “Devil Wind.” If you love New Mexico, though, you take it as it is, wind and all. It’s not perfect. Tourist images of our state don’t show visitors chasing their fly-away hats or sneezing with a face full of dust and juniper pollen, but the cowboy’s bandana was, among many other things, a dust mask. Imperfection has its charms. 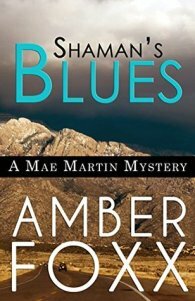 I’ve been pleasantly surprised how many readers love Jamie Ellerbee, the flawed and troubled character I first introduced in Shaman’s Blues four years ago. When I wrote the book, I was experimenting with turning as many conventions of romance around as I could, while still writing about love. He’s a mess, though he struggles not to be. Not exactly a conventional romantic lead. The book’s original title as a work on progress was Samskaras, the Sanskrit word for the residue of our actions and emotions that creates new cycles of karma. One of my spiritual teachers said a good English translation for it was “Some scars.” Jamie has a lot, and he’s not skilled at hiding them. But then, hiding doesn’t bring people closer to each other. Kindness does. 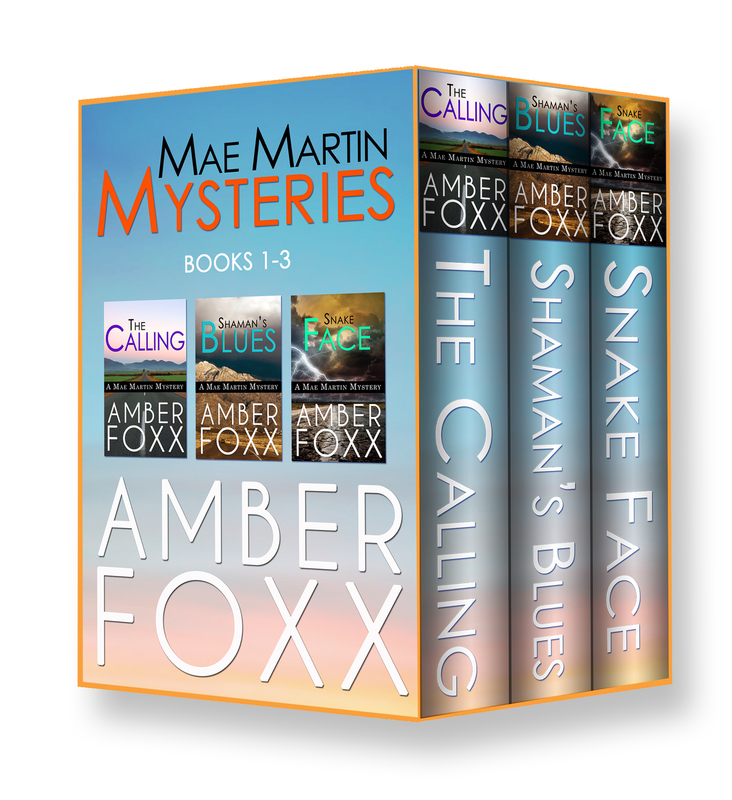 Shaman’s Blues is on sale for 99 cents .